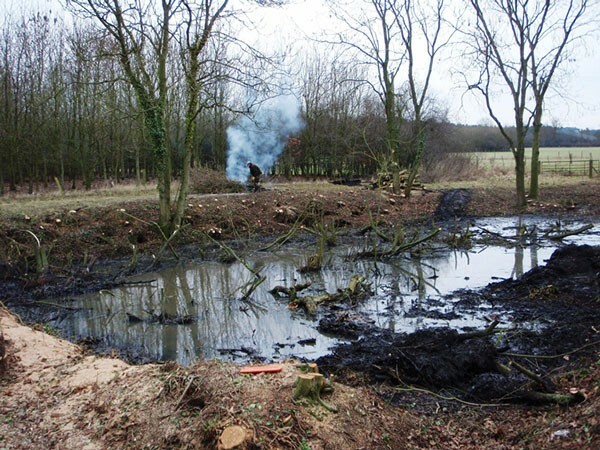 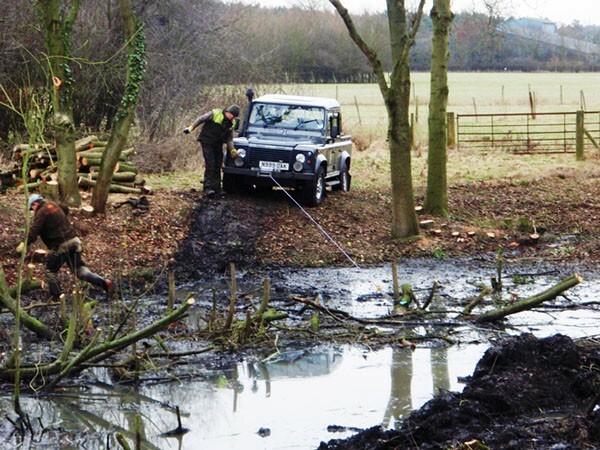 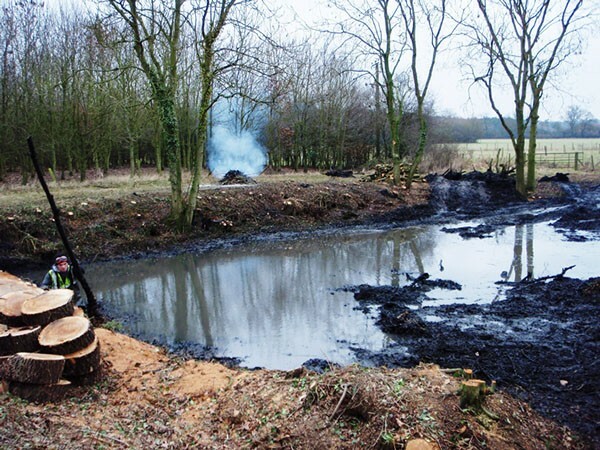 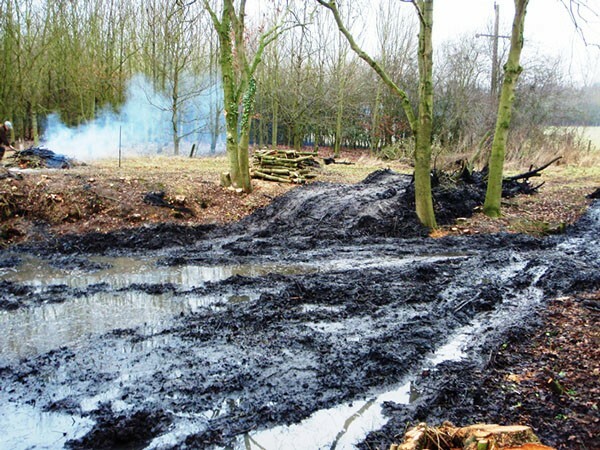 Restoring a natural pond that has lacked attention for many years can be quite a challenge. 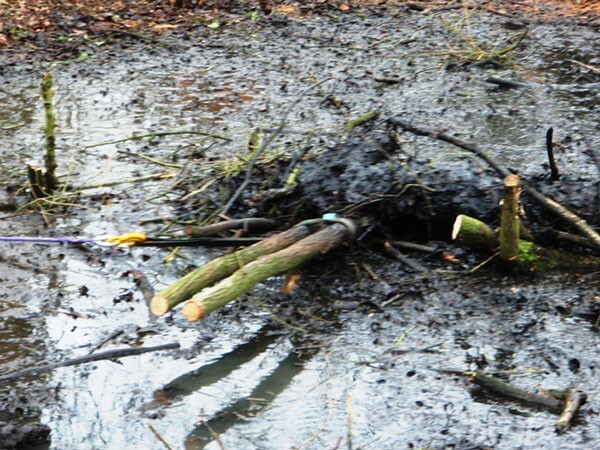 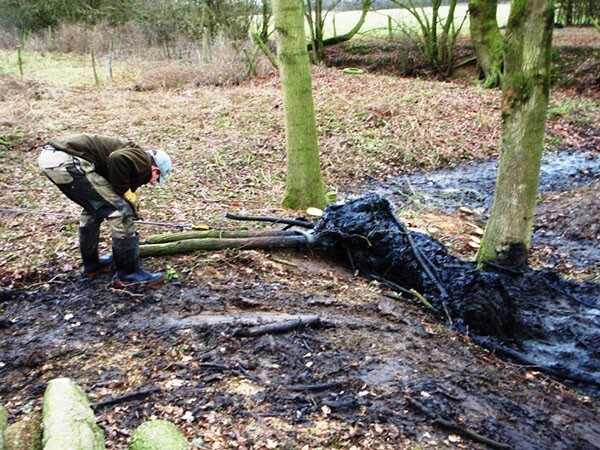 As the pictures show, here we were dealing with fallen trees, others that had rooted in the floor of the pond, some that had been stretching for light and needed coppicing. 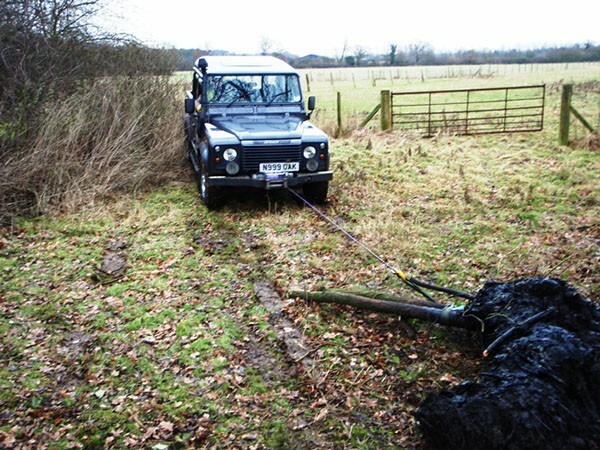 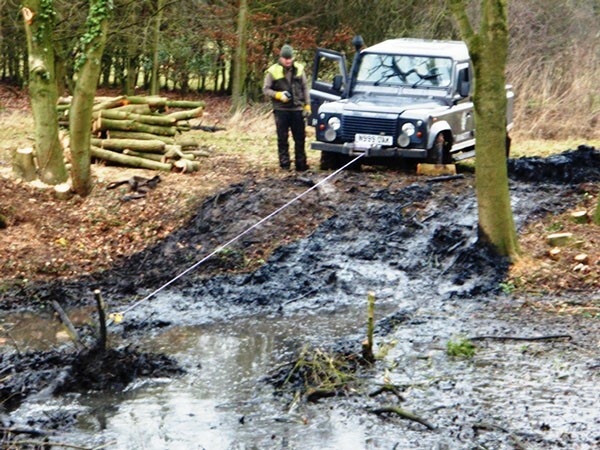 The winch on the trusty Land Rover was used for winching out the fallen trees – the rest was just a lot of highly enjoyable hard graft! 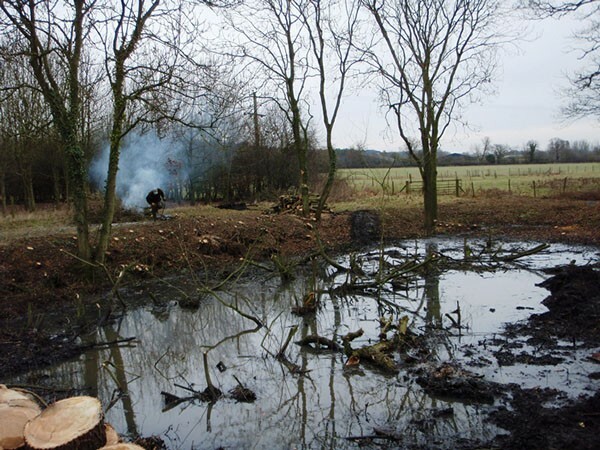 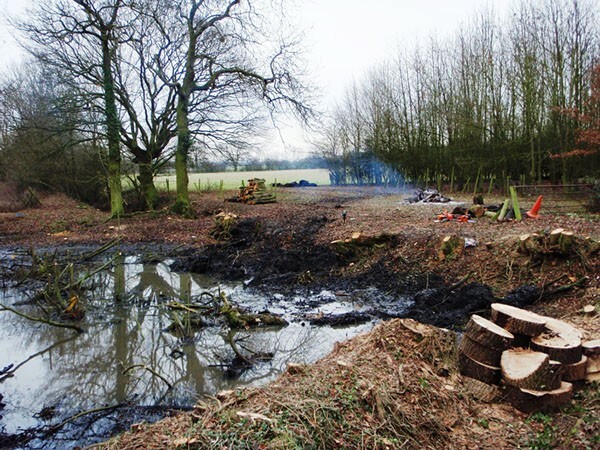 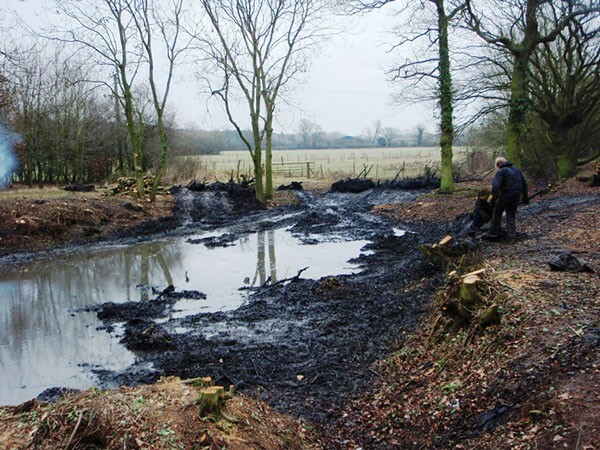 With the margins cleared and habitat piles left in situ, the pond is now accessible to the local wildlife and will not only be an attractive feature for the landowner, but a perfect habitat for a range of invertebrates, mammals and wildfowl.